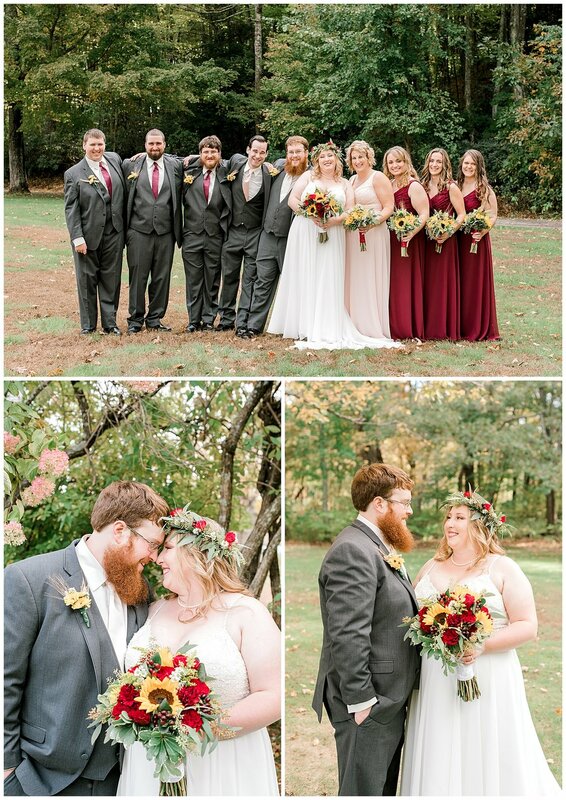 On the shores of Roseland Lake in Woodstock, Connecticut on the perfect Fall day, with a reception in an adorable barn decked with sunflowers and the most amazing barbecue I have ever tasted, Amber and Donald said I do! 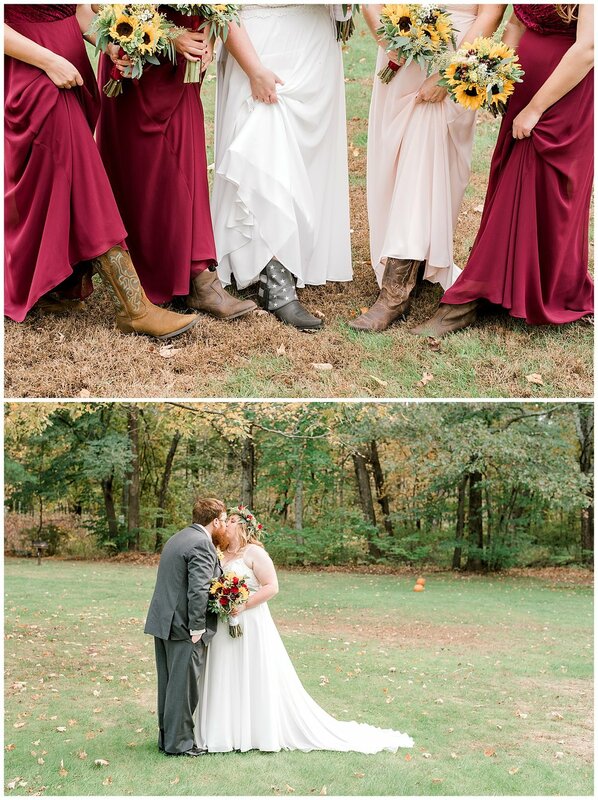 As a New England girl, I’m a total fan of barn weddings and country music. Fall is my favorite season and when the leaves start changing I’m ready to go hiking and take my yearly trip to New Hampshire. Amber glowed with excitement in her gorgeous flowing gown, perfect flower crown and rose gold halo custom made ring. 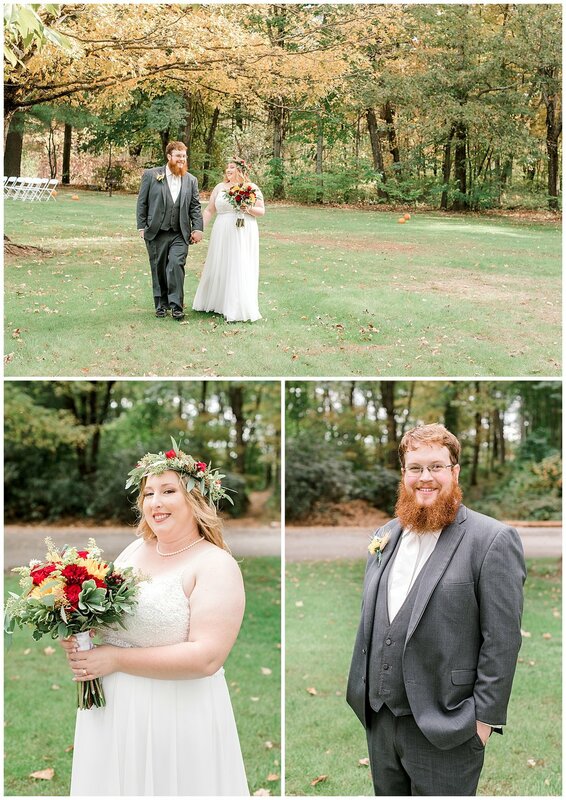 After sharing a “faux” first look around the corner of the red barn, seeing the look on Donald’s face as his bride made her way down the aisle on the arms of her parents was priceless. The generations of family and great grandparents there to witness their marriage just made this wedding all the more perfect. Congratulations Amber and Donald, I wish you many more adventures as you share a life of love!